One year ago the city of Houston and southeastern Texas were devastated by Hurricane Harvey. Locally, the tragedy spurred youth to action, becoming a rallying cause for the YMCA's Teen Leaders Club. YMCA Leaders Clubs combine leadership, volunteering, and community service opportunities with fun and fellowship and are available to all kids in middle and high school, with syndicates in Foxborough, Franklin and North Attleboro. The Hockomock Area YMCA's Teen Director Alyssa Boutin of the Invensys Foxboro Branch wanted to get the kids involved right away to address the Houston situation. "We talked about how it would feel to have to return to school amidst turmoil left from the natural disaster. Many of their peers in Houston were without basic necessities that we tend to take for granted." Boutin arranged for the Greater Houston YMCA's Leaders Club to skype with club members at the Hockomock Area YMCA. "We learned they were going to school despite a lot of damage and loss of electricity and were in need of some of the most basic items, like tooth brushes and tooth paste or shampoo, soap, and clothing," said Boutin. Resultant of that conversation, local teens orchestrated a relief drive that generated nine boxes of essentials weighing over 200 pounds. The teens gathered donations from drop bins at each of the Hockomock Area YMCA facilities and sent them off to the YMCA in Houston. Bags of hygiene-related donations had come in to bins where members check-in at their local YMCAs. "Membership at the YMCA is about building spirit, mind, and body," said Executive Director Patrick Murphy of the Foxboro Y. "It was not surprising to see the generous response from our members. They are great examples to our teens as they learn about social responsibility and how they are called to make a positive difference." Houston teens were grateful recipients of the supplies. In turn, they offered up an invitation for the Massachusetts teens to join Teen Escape: a program designed for teens across the country to make real impact on a community in need. The 2018 destination was Houston and transportation would be covered by Southwest Airlines. 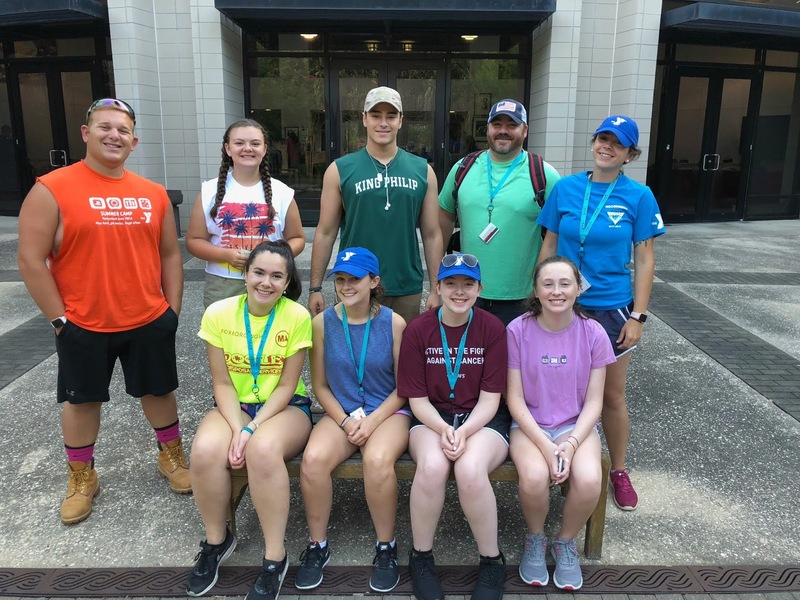 On July 22, seven teens from the Hockomock Area YMCA left for Houston and spent five days working on rebuilding homes. The youth that traveled had been chosen based on their essays during an application process conducted at the Y. They joined YMCAs from Boston, Philadelphia, Chicago, North Carolina, and Houston—all told over 75 people contributed to the rebuilding of Houston through Teen Escape. "We worked on seven houses to get families back in their homes," says Boutin who accompanied the Leaders. In addition to cleaning up debris remaining from Hurricane Harvey, the teens painted, removed walls and installed new drywall, and replaced tile and floorboards. The crew met a woman whose family left their home when water reached the four foot mark. The morning after Harvey hit, they waded through the water until they arrived at a high point in the neighborhood where a relative was waiting to help. They also worked on a house for a retired nurse whom they enjoyed speaking to. She shared that she had lived in her house for 50 years. She'd stayed through Hurricane Harvey and had no intentions of ever leaving, so repairs to the house to keep it standing were critical. "When we met her in her home and heard her story, I think that's when the teens truly understood the impact they were making," said Boutin. “It was an experience we all learned from and are determined to bring back here, encouraging others to make a difference."